With a swelling fanbase, a new video in the offing and an EP surely not too far away, Getintothis’ Tom Konstantynowicz brings the impeccable Pale Waves to your attention. 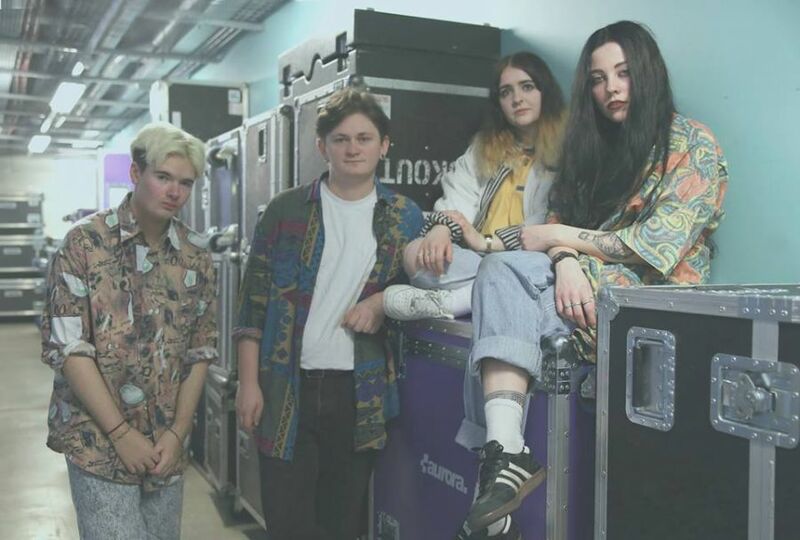 Pale Waves sound like summer – not the summer found in their native rainy old Manchester where they study music at university together – somewhere else. It’s music that evokes visions of warmer climes but is rooted in a North West off licence where – in a quintessential student anecdote – Heather met Ciara buying vodka, Ciara knew Ryan, they enlisted Ben and out of the haze of drunken freshers nights came four new ‘besties’ and a new band. Their sound draws fairly heavily from the Birmingham ‘B-Town’ mini-scene which kind of fizzled out as a movement a while back, although Peace, Jaws and Swim Deep still fly the flag. ‘Nineties inspired indie pop feels, drenched in reverb and glitter’ as they so stylishly put it. The glitter part is something they’ve sprinkled themselves, through ethereal vocals or perhaps in their sun-kissed, almost tropical riffs. Whatever it is, it’s more danceable and shimmery than anything to come out of that particular Midlands sub-genre. Their track, The Tide, contains sun-kissed guitar bursts and plays out an escapist, daydream-like aesthetic. Similarly, latest cut Heavenly is calypso-like in its feel – a million miles from Manchester’s Northern Quarter which they undoubtedly frequent if their baggy vintage style is anything to go by. The forthcoming visuals, we’re told, contain a beach ball, glitter and skateboarding. It’s clear Pale Waves’ wear their influences on their sleeve, far away beach vibes emanate from almost every longing lyric, their shiny riffs jangle like early Cure as frontwoman Heather channels Robert Smith’s dark-eyed glamour. What’s more, it’s done with enough authentic innocence to avoid sounding at all contrived.